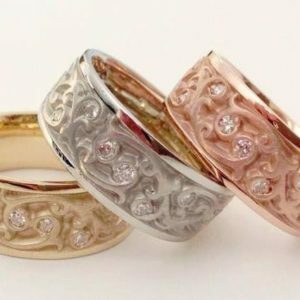 Unique diamond and gemstone engagement rings, unique wedding rings, matching his and hers wedding sets in gold, palladium or platinum. 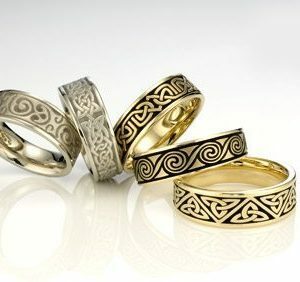 Symbolism to inspire. 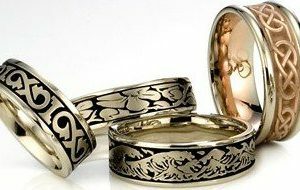 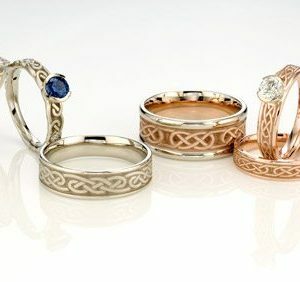 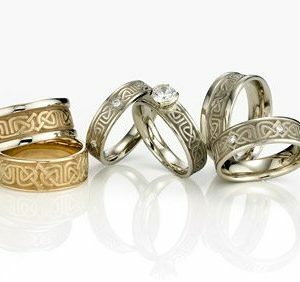 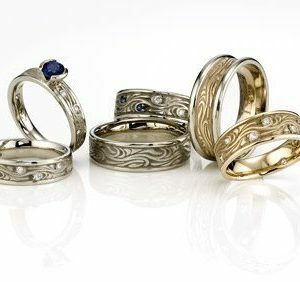 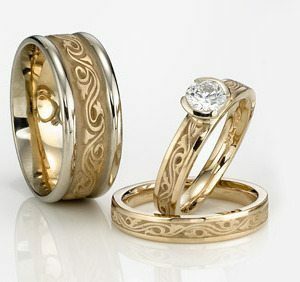 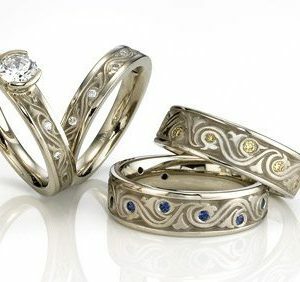 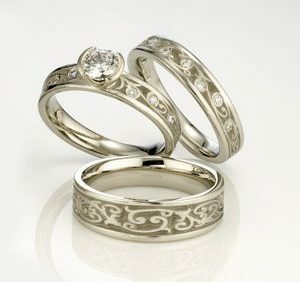 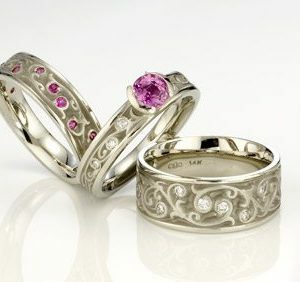 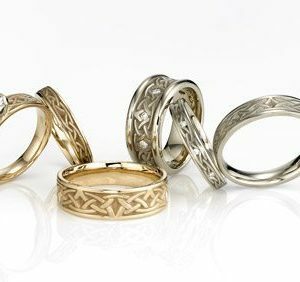 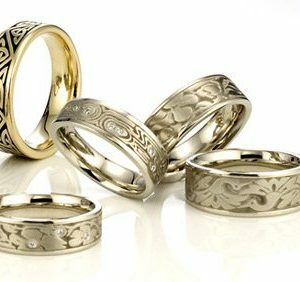 These Unique wedding rings and engagement rings are showcased in amazing diversity and beauty in this collection of intaglio style unique rings in gold, platinum or palladium. 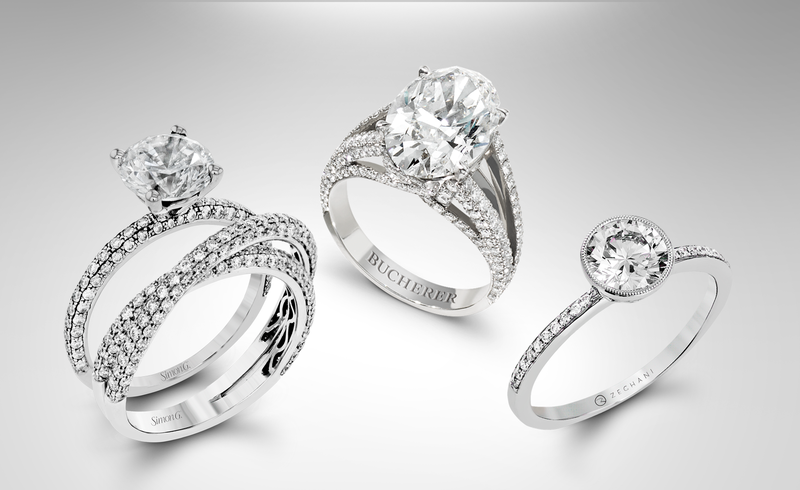 Tiny faceted diamonds add sparkle and brilliance to the wedding ring design.